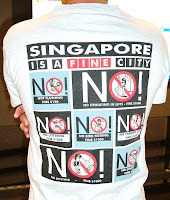 As those not-so-novel-anymore novelty T-shirts for tourists say, Singapore is a “fine” city. Last week, it was reported that SMRT will be fined $860,000 by the Land Transport Authority for four separate incidents since last year. SBS Transit will also be fined $250,000 for a service disruption on the North-East Line in June. Before you start collecting donations for them, let me point out that SMRT reported a net profit of $119.9 million for the financial year of 2012 while SBS Transit earned $18.6 million. But it’s not only the public transport companies cramming us into their sardine trains and buses that are getting fined. 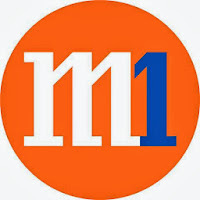 Last week, M1 was fined $1.5 million by the Infocomm Development Authority (IDA) for a three-day service disruption in January. It was reportedly the most a telco has been fined. 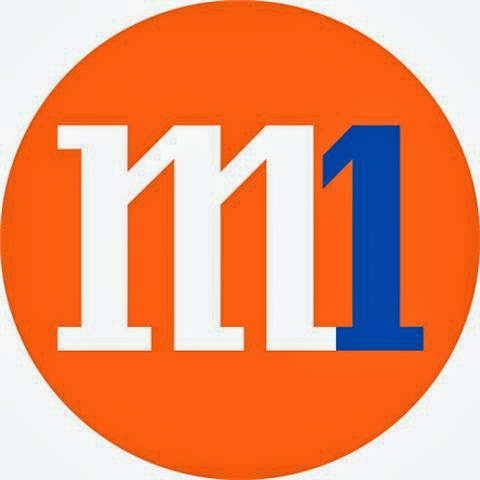 Before you start organising a flag day for M1, let me point out that the company made a profit of $146.5 million last year, which is more than what SMRT and SBS Transit made combined. This year alone, Singapore’s largest telco was fined $50,000 in August for a two-and-a-half hour fixed-line outage that occurred last November, and $180,000 in February for a mio TV glitch that disrupted the live telecasts of the English Premier League (EPL) matches the previous May. Before you start calling celebrities to appear in a charity show for SingTel, the company earned $1.01 billion in just three months from April to June, which is even more than what our ministers make. Who weeps for the multi-million-or-billion-dollar corporations? The thing is, the fines just go to the Government. What about the consumers who were affected by the services disruptions that the companies were fined for? Shouldn’t we get a piece of the action since we were the ones who were actually inconvenienced? For example, IDA found that some 250,000 M1 users were affected by the January disruption. What if that record $1.5 million fine was distributed among those 250,000 people? Let’s see, $1.5 million divided by 250,000… that means each one of us would get... only $6?! That’s just enough to buy a McDonald’s Samurai Burger with single beef patty, which is $5.65 on the delivery menu. The double patty is $7.45. You can forget about adding the Seaweed Shaker Fries and the medium jasmine green tea. Record fine or not, $1.5 million is clearly inadequate. The fine should be at least enough for each of the affected 250,000 M1 users to get a Samurai meal. Will StarHub be fined too? Two Wednesdays ago, the telco apologised to customers who could not log on to the Internet that morning. Three days later, StarHub’s cable TV service was disrupted for four and a half hours. To make up for the cable TV outage, StarHub announced last week that as “a gesture of goodwill”, it’s offering a free preview of more than 170 channels for a week starting this weekend. Which is all well and good – except I cancelled my StarHub TV subscription last Tuesday. And it wasn’t because of the service disruption. No one in my household even noticed the service disruption because we hardly watch TV anymore. Don’t get me wrong. We still watch plenty of TV programmes – but on the computer via the Internet. No, I don’t download. I stream. Let’s say I want to watch the Channel 5 show Mata Mata (which I don’t), I’d just go to xinmsn. I had been wanting to cancel my cable TV subscription for some time but was still on contract. My daughter also protested, which is a little surprising. Being the youngest in the family, she was the last person I expected to hang on to the old medium. For some reason, she still occasionally enjoyed watching Glee on our dusty non-HD Sony Trinitron. Then on Monday, I received a call from someone representing StarHub who offered to give me a $10 discount off my $30 monthly cable TV subscription fee. I said I thought I was already getting the discount. The woman explained that my contract had just ended, which was why she was offering me a discount for another 12-month commitment. I just had to do it without telling my 14-year-old daughter. Yes, I like to live dangerously. So the next day, while my daughter was at school, I disconnected the cable TV set-top box and returned it to the StarHub customer service centre at Causeway Point. And thus my decades-long relationship with cable TV was officially over. When I got home, my daughter demanded to know what happened to the cable box. She angrily pointed to the empty space above the TV. I said I was saving us $20 or $30 a month and offered to buy her a Samurai Burger. But my daughter still hasn’t forgiven me. “It’s like losing a loved one,” she said. I hope she’ll say the same thing about me when I die. I would’ve bought her a Samurai meal, but IDA didn’t fine M1 enough.